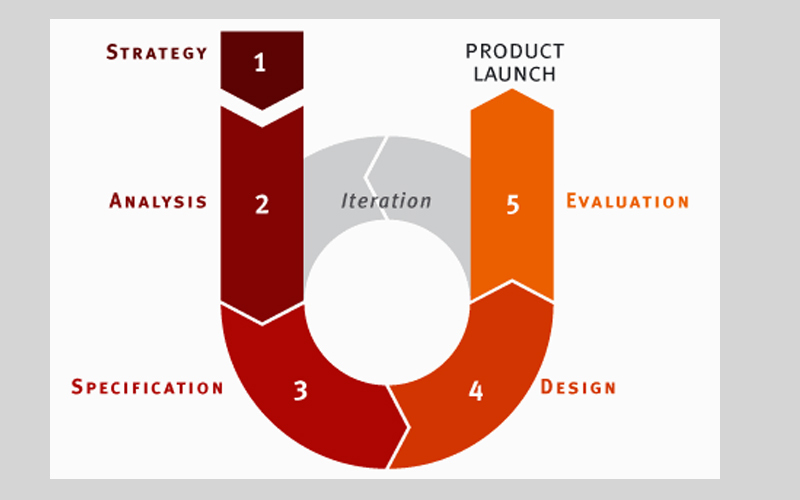 What does design process look like? | What's Typography? 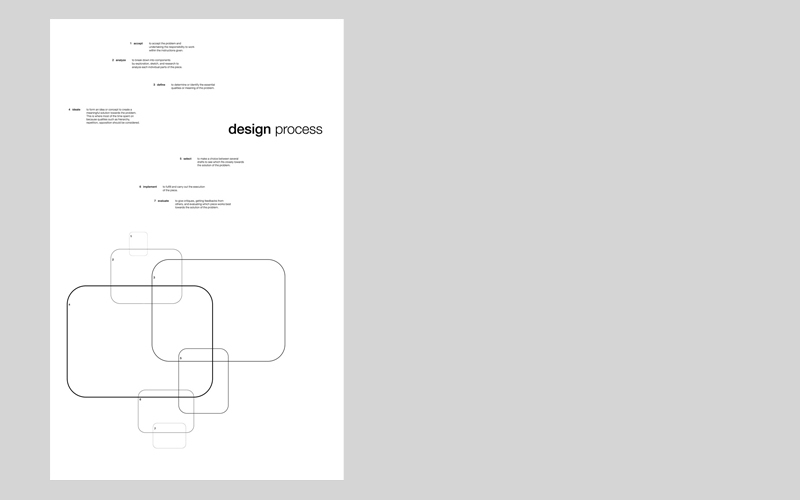 What does design process look like? Because most processes are from one point to another, many tend to follow a single path. Like this one, this path is made up of large arrows and shows a progression through color. Interestingly, this process would cycle again and again until the solution was satisfactory, creating a large circle in the middle of the composition. However, when the solution is finalized, the process ends right next to the beginning, making an easy read, left to right. 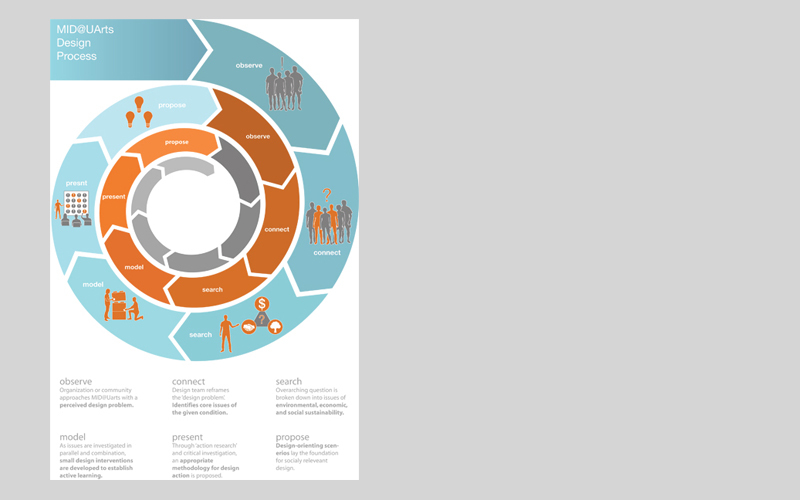 This diagram separates the written steps from how they visually integrate with each other. As you can see, the placement of the information reflects the shapes at the bottom of the composition. It seems to cause a little back-and-forth reading, but overall it seems to pull out a kind of symbol that represents the information, almost like sound vibrations creating patterns with sand. Whoa. Even though I don’t understand the information or can follow the lines at all, I can see that this process is not quick and painless. Interesting though, the lines begin to cluster up at the top and begin to form patterns. This element could definitely be utilized in another design. This one seems very straightforward and at the same time, it conveys the sense of an endless process, which for many designers can be the feeling. This is achieved through color gradation, arrows, a reduction in scale, and even repeating information. This design shows how a simple idea or problem can generate in the designer’s mind hundreds of solutions that can be developed. 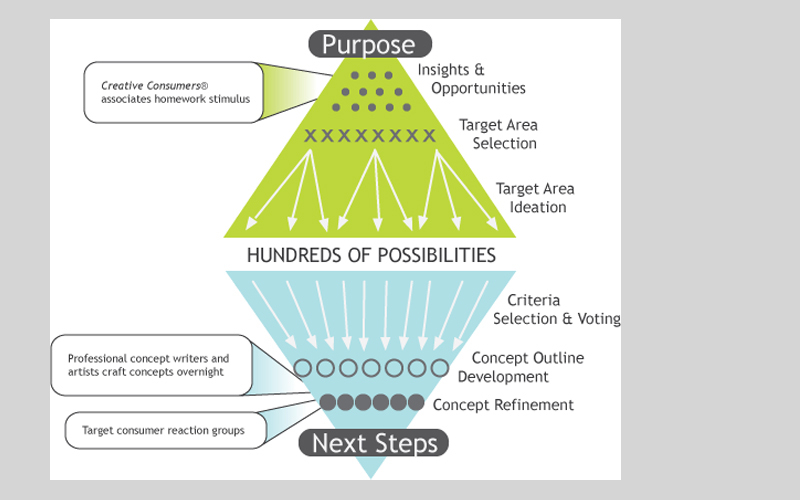 Because the job doesn’t pick all of them, designers and clients need to reduce the number, pulling important aspects and smart ideas learned from the exploration process and begin to develop one single plan.